Are Gutter Guards worth the money? - Beneficial Roofing | VOTED BEST Roofing Company, Call Us Today & See Why! Gutter cleaning is perhaps one of those home maintenance tasks that most homeowners just hate doing. However, neglecting this annoying chore is not an option either. Clogged gutters can cause severe damage to your roof, windows, and walls and you definitely don’t want that. So, is there a way to make this task a bit easy and less painful? Well, as it turns out, there is; enter Gutter Guards! Many people swear by the benefit of these nifty tools that make cleaning your gutters thing of the past. But what exactly are gutter guards and are they worth the money? Well, let’s find out! In the simplest of terms, gutter guards are covers for your gutters. These covers are designed to keep the debris out but allow the rainwater and snowmelt to go through the gutters. The best part is that they can be installed during the gutter installation or can be added at a later date. 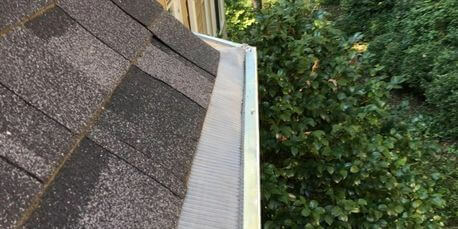 Screen-type guards are the most straightforward gutter guards that you can install as a DIY project. You can make them by cutting PVC or aluminum screening to dementia’s and placing them on top of the gutters. Just remember that these can’t keep small items such as pine needles and small leaves out. Foam-type guards are strips of very porous foam that can be played on top of the gutters. The foam allows water to pass through freely but traps the solids on the top. Surface Tension gutter guards are curved plastic covers that direct the rainwater and snowmelt into the gutters while keeping the debris out. These are sophisticated guards that need to be installed by a professional. 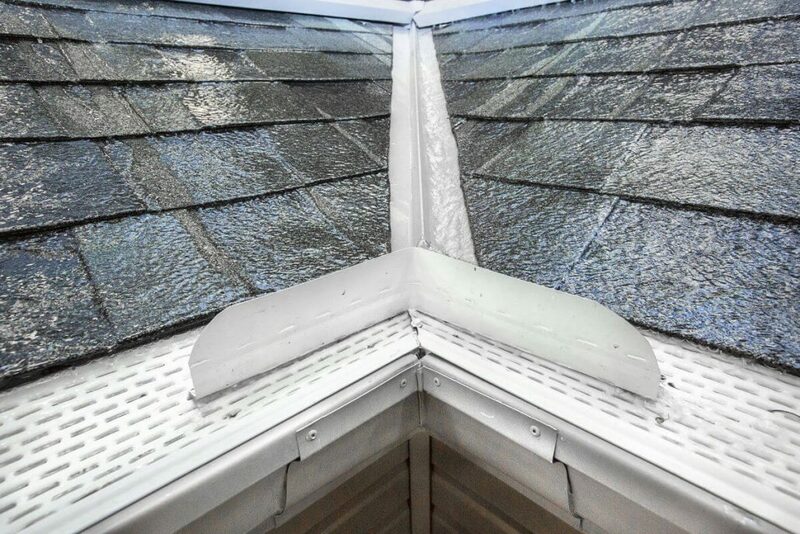 Micro-mesh gutter guards have thousands of minute holes that allow the water to pass through but prevent debris. These are the best gutter covers that you can install and block almost all type of trash from entering your gutters. If you choose to install these, you will need the help of a roofing professional. What to expect after installing gutter guards? Although installing gutter guards can significantly reduce the instance of clogged gutters, it won’t eliminate the need to clean your gutters entirely. You will need to take some time out to clean out the rubbish from the gutter guards themselves. So, there is that. For what they do, gutter guards are an excellent investment for your property. They can efficiently prevent clogged gutters and the potential roof and wall damage that comes with it. So, are they worth the money? You bet, they are! Call Beneficial Roofing today to learn more about gutter guards and for other roofing services. We would love to work with you to find an option that works the best for you! https://beneficialroofing.com/wp-content/uploads/2017/11/Roofing-Gutters-Guards-Worth-Money.jpg 800 1200 user https://beneficialroofing.com/wp-content/uploads/2017/01/Beneficial-Roofing-Website-Logo-1030x427.png user2018-01-07 16:02:132017-11-07 16:07:07Are Gutter Guards worth the money?